For your goals, write down if you’d like to sell your house within a certain time frame or make a particular profit margin. Work with your real estate agent to map out the best path to achieve your objectives and set a realistic time frame for the sale. Most of us don’t keep our homes in “showroom” condition. We tend to overlook piles of boxes in the garage, broken porch lights, and doors or windows that stick. It’s time to break out of that owner’s mindset and get your house in tip-top shape. The condition of your home will affect how quickly it sells and the price the buyer is willing to offer. First impressions are the most important. Your real estate agent can help you take a fresh look at your home and suggest ways to stage it and make it more appealing to buyers. * A home with too much “personality” is harder to sell. Removing family photos, mementos and personalized will help buyers visualize the home as theirs. Depending on the written contract, you may pay for all, some or none of these items. If each procedure returns acceptable results as defined by the contract, then the sale may continue. If there are problems with the home, the terms set forth in the contract will dictate your next step. You or the buyer may decide to walk away, open a new round of negotiations or proceed to closing. 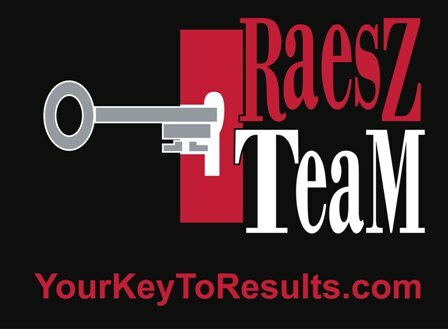 If you’re ready to make a smooth move, contact the Raesz Team.